A 1970s design in original 1980s colours. 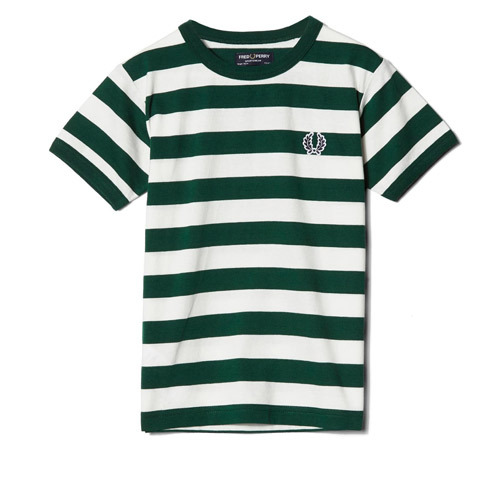 That’s why we love the Ringer T-Shirt by Fred Perry. We have flagged up the classic short sleeves in the past, but with the autumn almost upon us, it’s time for the Fred Perry long sleeve polo shirts for kids to appear on the shelves. For the prefect start in life, get your kid into My First Fred Perry Shirt, which happens to be back in three new shades. A staple in the adult range for some time, the Fred Perry Bradley Wiggins cycling polo shirt is now available for kids. I think these made it into the adult range at the back end of last year. But we’re more interested in the Fred Perry old school track tops for kids.